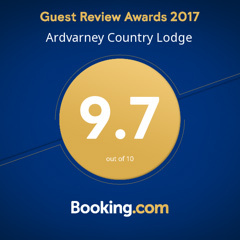 Ardvarney Country Lodge Bee and Bee is a fact. in the Hive (probably because it was already end of season for swarms). I had to close down the hive for wild habitants (Wasps), interested to steal the remains of honey from the hive. This ment that I had to find a Queen bee and some workers. A Bee keeper from Sligo (Paul) was willing to split one of his Bee populations and build a new colony for us. During our visit to Holland in August (our Youngest daughter got married), a fresh new Queen was selected and a new colony of bees were transferred to our Hive. First thing we did when we came home was visit Paul to see the new addition to our small farm. anymore, as it is end of season, but they do go out to collect pollen. Honey bees collect pollen and nectar as food for the entire colony, and as they do, they pollinate plants. See the yellow powder/ pollen on the back legs of this bee. In September and October, the preparations for the winter will start. No honey yet this year. However, for next season we have high expectations. Exciting months to come. Lets keep a close eye on them to see how they manage during fall and winter time.